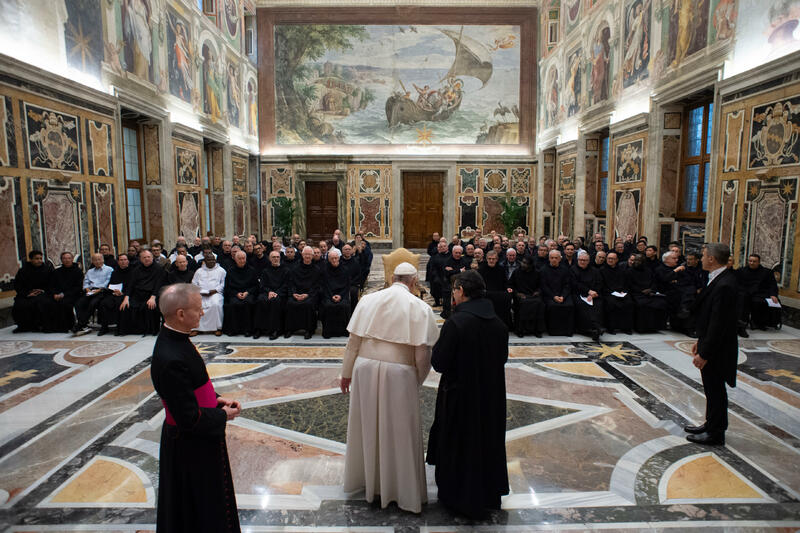 Pope Francis on February 1, 2019, received in audience — in the Clementine Hall of the Apostolic Vatican Palace –, the participants in the 69th General Chapter of the Hospitaller Order of Saint John of God (Fatebenefratelli) on the theme ”Building the Future of Hospitality,” underway at Rome from January 14 to February 6, 2019. Here is a translation of the Pope’s address to those present at the meeting. I receive you joyfully at this moment, in which you are holding the 69th General Chapter of the Hospitaller Order of Saint John of God. I wish to thank you for what you are and for what you do in the different expressions of your charism. I thank the Superior General for the words with which he introduced our meeting. And I would like to invite you to focus your attention on three subjects: discernment, closeness-hospitality, and shared mission. Discernment is about a fundamental attitude in the life of the Church and in consecrated life. To engage in grateful memory of the past, to live the present with passion and to embrace the future with hope — the three objectives pointed out for the Year of Consecrated Life — will be impossible without adequate discernment. Looking at the past, discernment leads to the purification of our history and of our charism, to separate the wheat from the chaff, to fix our attention on what is important. Looking at the present, discernment stimulates us to live the present moment with the passion that should characterize consecrated life; it drives away routine and mediocrity and transforms passion for Christ into compassion that goes out to meet the sorrows and needs of humanity. Looking at the future, discernment will enable you to continue making fruitful the charism of hospitality and of care, facing the new challenges that present themselves to you. Discernment is rooted in a historical dimension. 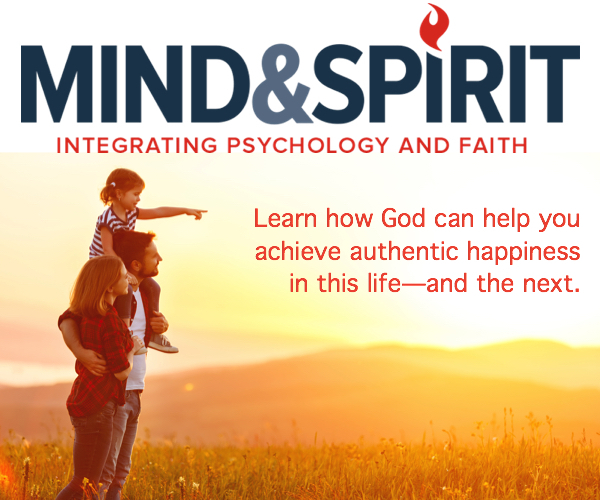 I want this Chapter to stay in the heart and memory of your Congregation as an experience of dialogue and discernment, of listening to the Spirit and to brothers and collaborators, without yielding to the temptation of self-reference, which would lead you to close yourselves in yourselves. Please, don’t make of the Hospitaller Order a closed army, a closed preserve. Converse, debate, plan together — from your roots –, the present and future of your life and mission, ever listening to the voice of so many sick people and persons that need you, as Saint John of the God did: a passionate man for God and compassionate to the sick and the poor. In the midst of so many signs of death, think of the evangelical figure of the Samaritan (Cf. Luke 10:15-37). He doesn’t seem to have many resources, he doesn’t belong to any center of power that supports him, he only has his saddlebag, but he has an attentive look and there, in the depth of his being, his heart vibrated to the rhythm of the other. The urgency to extend his hand to one who needs him makes him postpone his plans and interrupt his journey. Anxiety for the threatened life of the other makes the best of his humanity emerge, pouring oil and wine tenderly on the wounds of that half-dead man. Enclosed in this gesture of his pure otherness and of great humanity is the secret of your hospitaller identity. By allowing yourselves to be affected by the other, and in the Samaritan’s gesture of pouring oil and wine on the wounds of the man fallen into the hand of bandits, you will discover the mark of your own identity. A mark that will lead you to maintain alive in time the merciful presence of Jesus, who identifies Himself with the poor, the sick and the needy and dedicates Himself to their service. Thus you can carry out your mission to proclaim and bring about the Kingdom among the poor and the sick. With your witness and your apostolic works, you ensure help to the sick and the needy, with a preference for the poorest (Cf. General Constitutions, article 5), and you promote health pastoral care. The Samaritan took care of the wounded man. The verb ”to take care” has a human and spiritual dimension. Jesus wants us to touch human misery, to touch His flesh in the flesh of those that suffer in body or in spirit. To touch <in order>to let yourselves be touched. It would do us so much good! And then your lives will be transformed into an icon of God’s heartfelt mercy, configuring yourselves finally to Christ, compassionate and merciful, who went through the world doing good to all (Cf. Acts 10:38) and curing all sorts of diseases and ailments (Cf. Matthew 4:23). In this context, I ask you for a serene discernment on the structures. Your structures must be “inns” — as in the parable of the Samaritan – at the service of life; areas in which the sick and the poor feel particularly welcome. And it will do you good to ask yourselves again and again how to maintain the memory of those structures that were born as an expression of your charism so that you remain always at the service of that tenderness and care that we owe to the victims of society’s rejection. I ask you to create “Samaritan” networks in favor of the weakest, with particular attention to the sick poor, and that your Houses always be open and welcoming communities to globalize compassionate solidarity. Shared mission. This is a real urgency, not only because we are going through a time of lack of vocations, but because our charisms are gifts for the whole Church and for the world. Beyond the number and age, the Spirit always sparks a renewed fruitfulness that passes through an appropriate discernment and increases the joint formation in such a way that Religious and laity have a missionary heart, which leaps with joy on experiencing Christ’s salvation, and shares it as consolation and compassion, running the risk of being soiled with the mud of the path (Cf. Evangelii Gaudium, 45). I encourage you to take care of your own formation, and not to fail to form the laity in the charism, the spirituality and the mission of Christian hospitality, so that they also have a warm sense of belonging and may the witness of spirituality, which nourished the life of Saint John of God, never be lacking in your works. Dear brothers: Take Jesus’ compassion and mercy to the sick, and to those most in need. Come out of yourselves, of your limitations, of your problems and difficulties, to unite yourselves to others in a caravan of solidarity. May your youths prophesy and your old men cease not to dream (Cf. Joel 3:1). I accompany you with my blessing and, please, don’t forget to pray for me. Thank you.